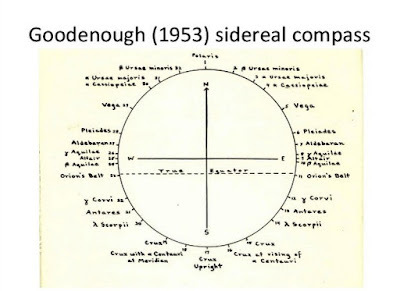 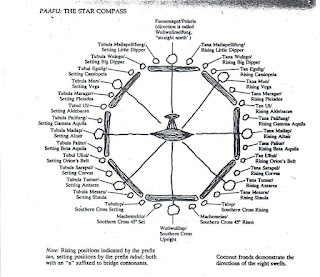 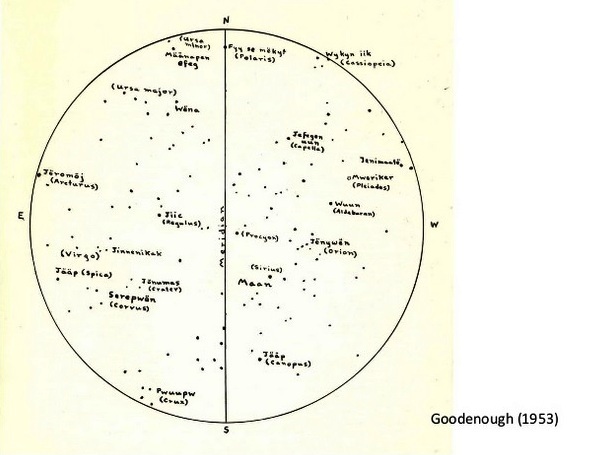 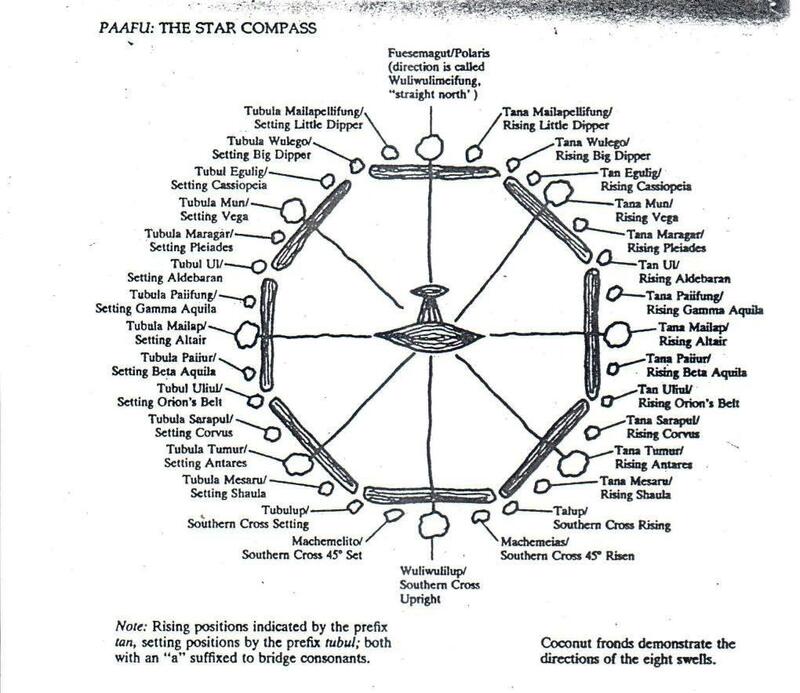 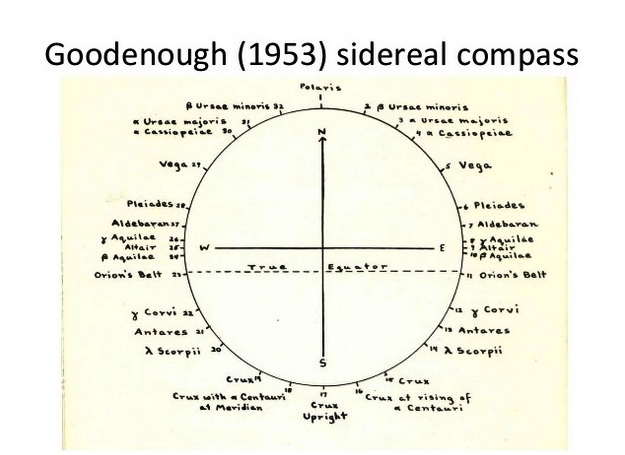 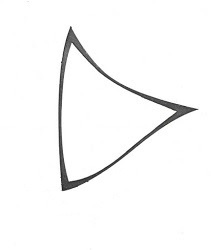 As a adjunct to the post of a few days ago, here is the drawing of the star compass from Stephen Thomas's book, The Last Navigator. 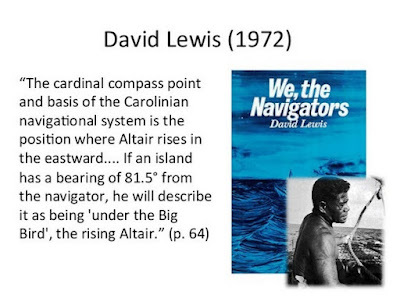 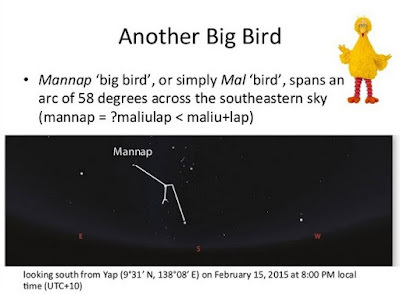 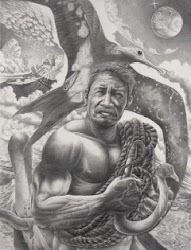 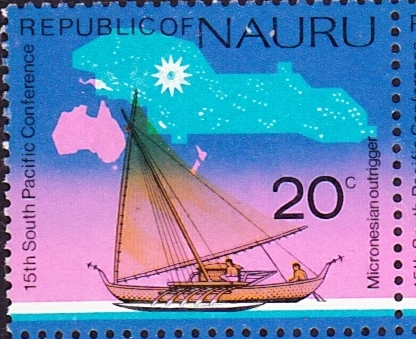 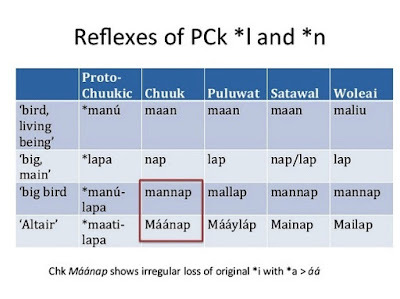 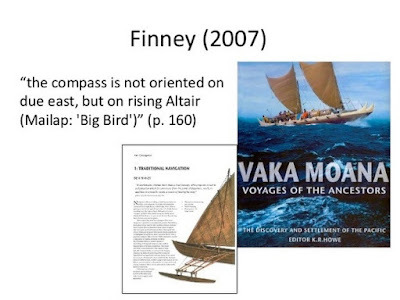 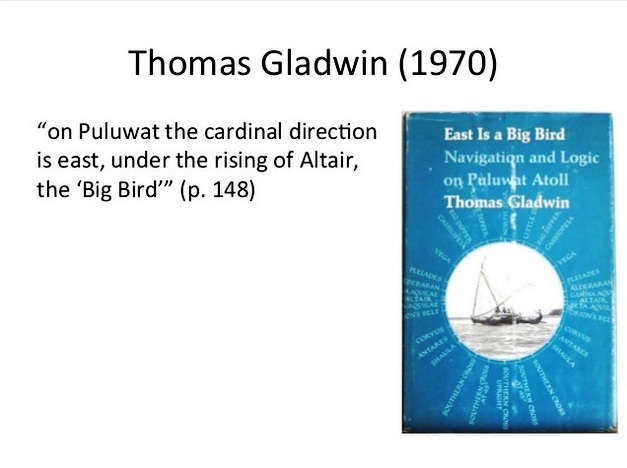 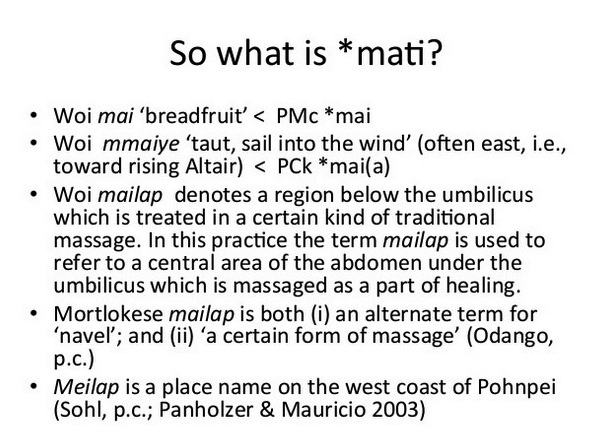 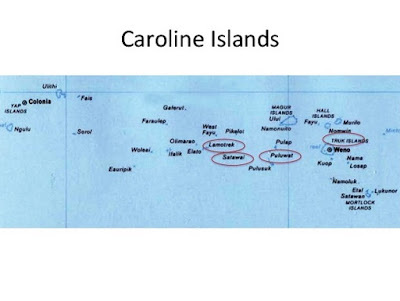 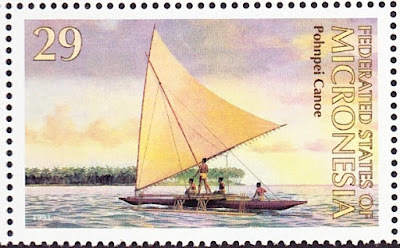 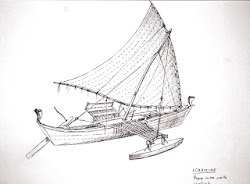 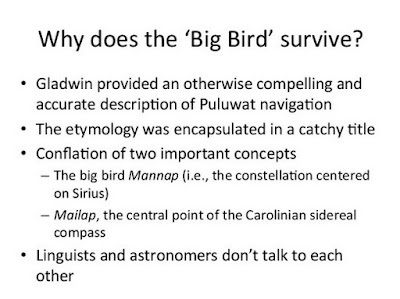 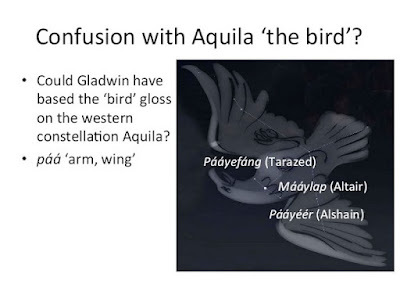 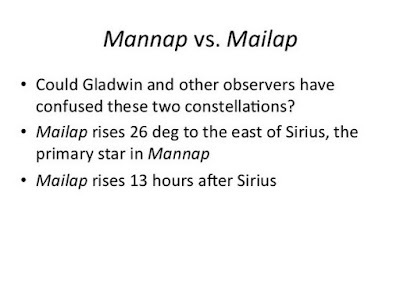 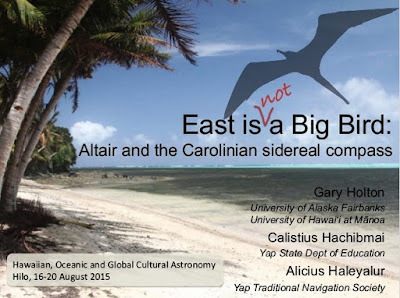 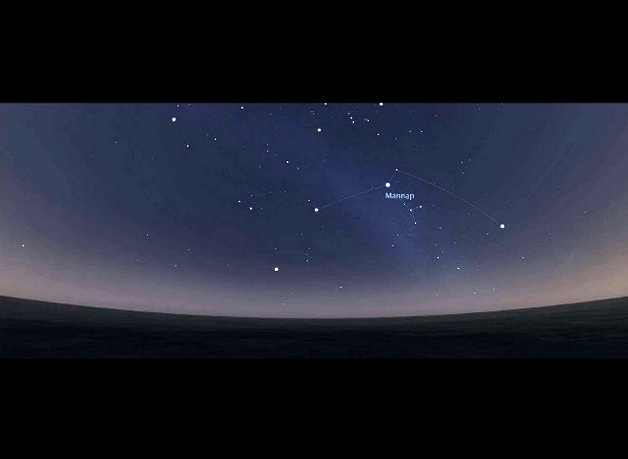 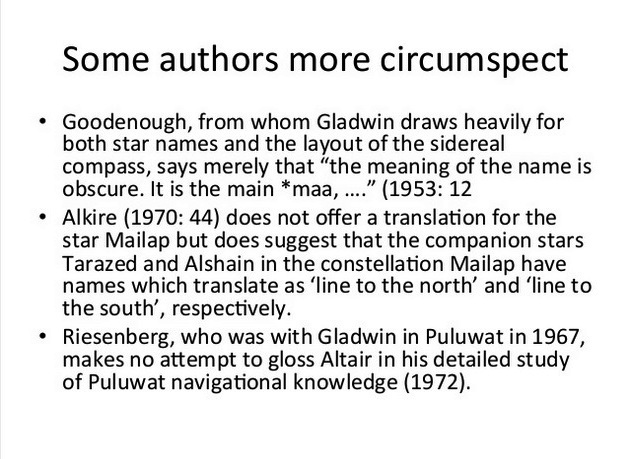 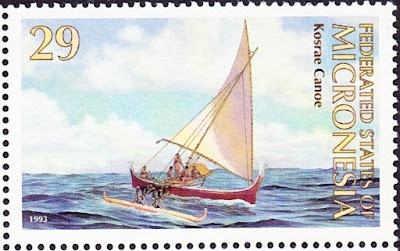 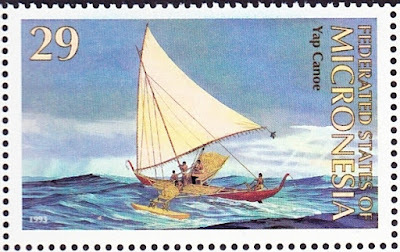 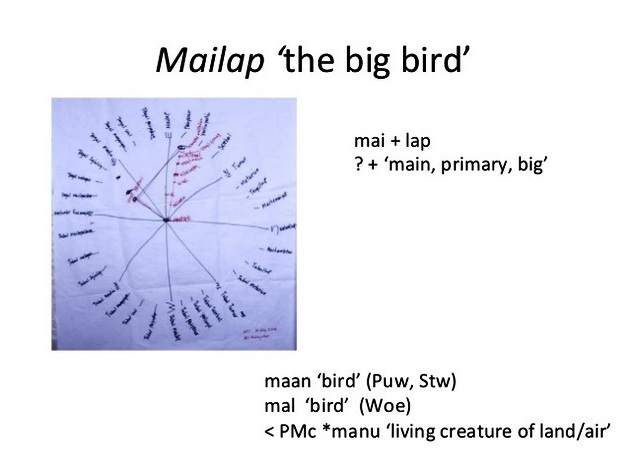 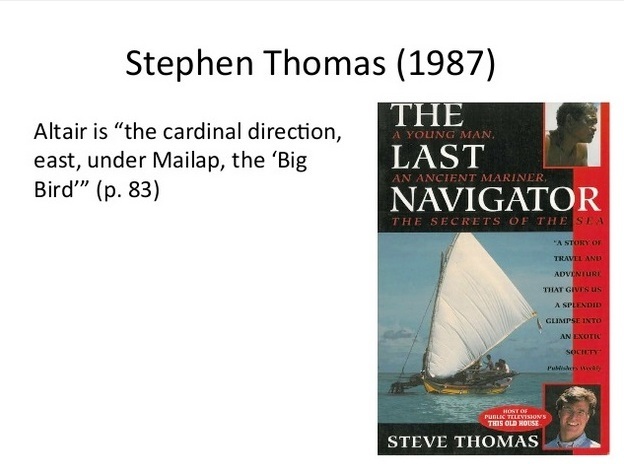 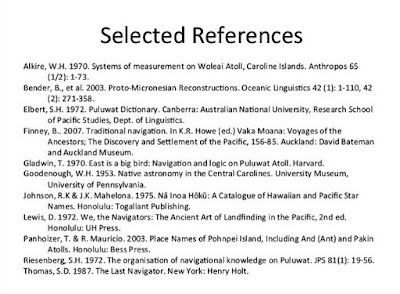 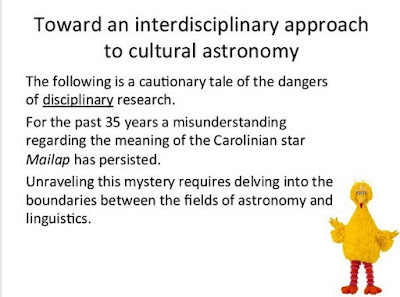 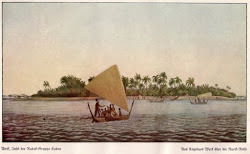 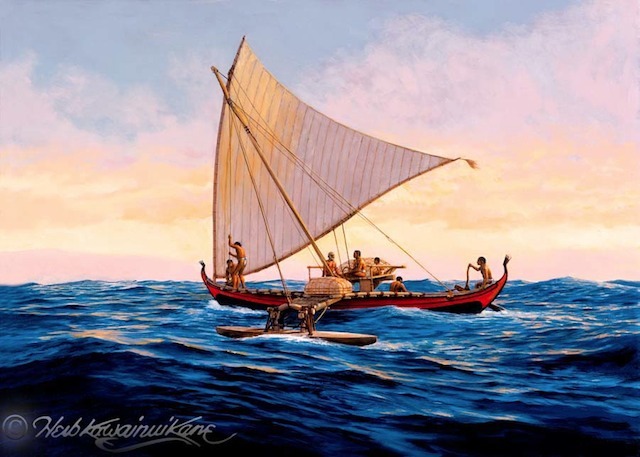 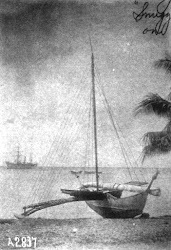 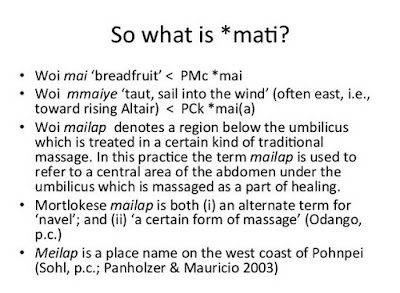 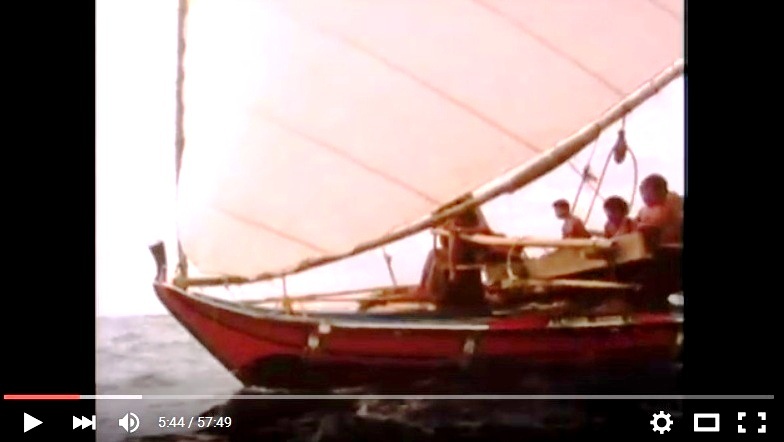 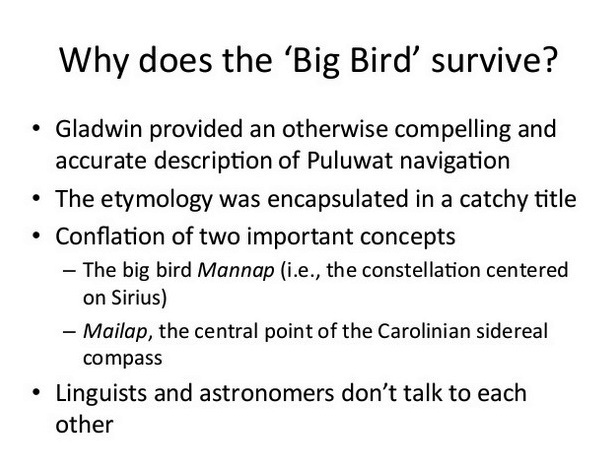 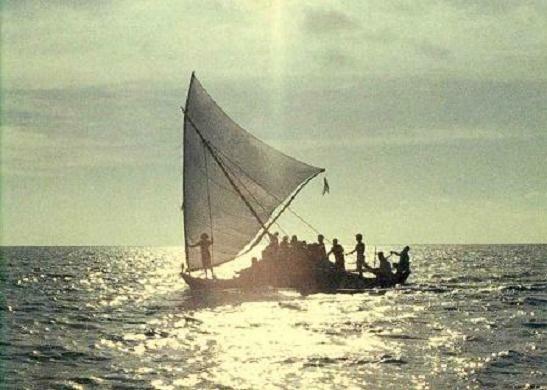 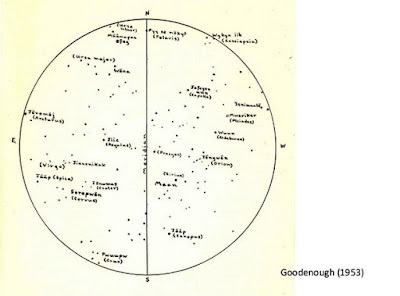 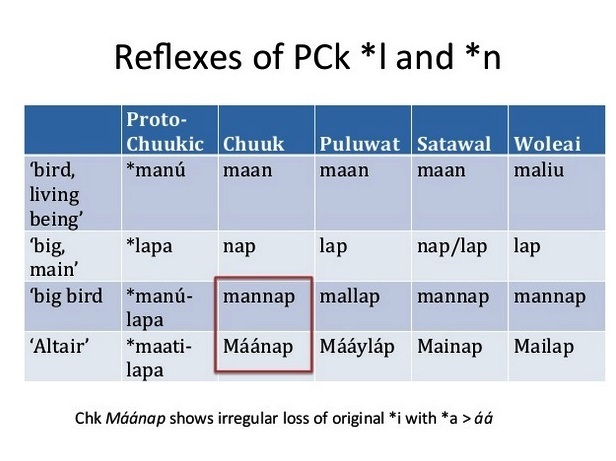 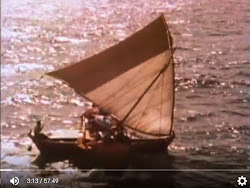 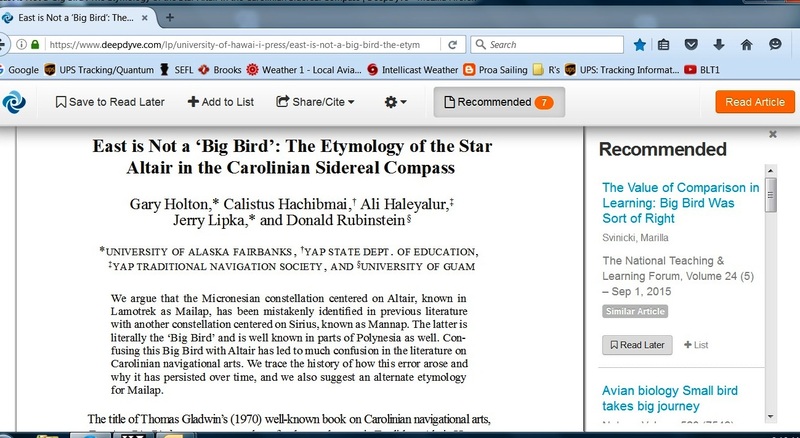 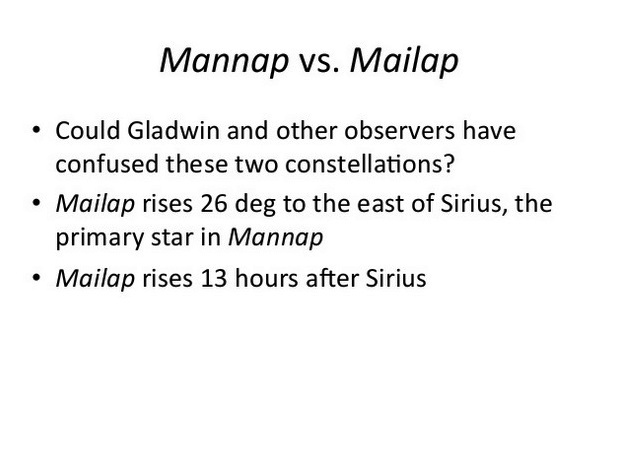 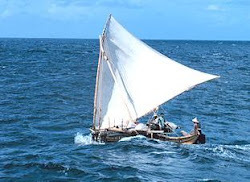 "East is Not a Big Bird"
Ever since I began reading about Micronesian celestial navigation many years ago, I've read that the cardinal point, so to speak, was East, where the constellation Mailap, "the big bird" rises. 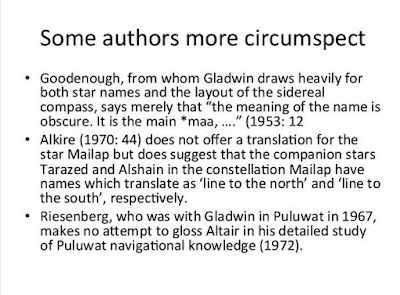 The sources cited below all basically asserted this. 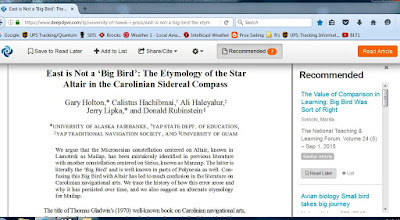 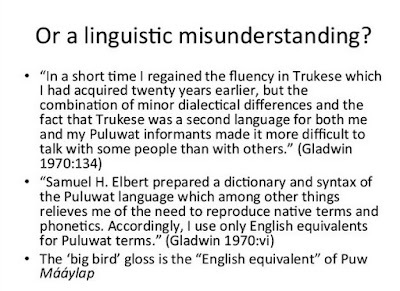 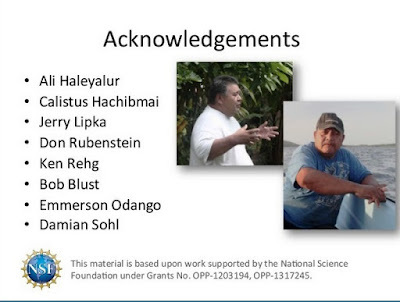 But I just came across a piece published by these guys - Gary Holton, Calistus Hachibmai, Ali Haleyalur, Jerry Lipka, and Donald Rubinstein - which asserts otherwise. 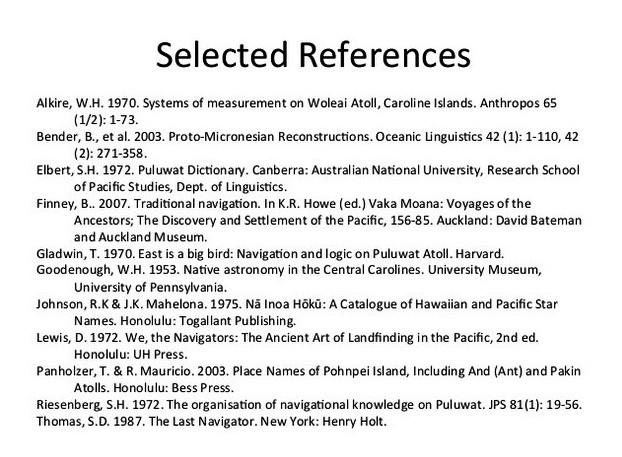 Couple of internet resources here. 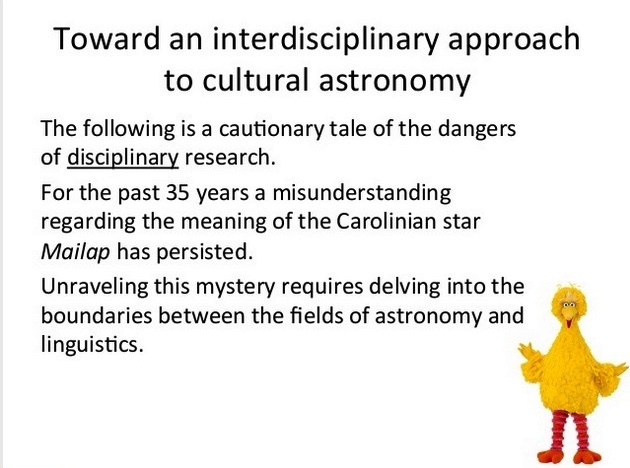 You may already be utilizing these, I may be "behind the curve". Firstly, I just learned how easy it is to search for similar images by simply opening a couple of windows side by side and then dragging and dropping an image you like into a Google Images searchbox. See below. 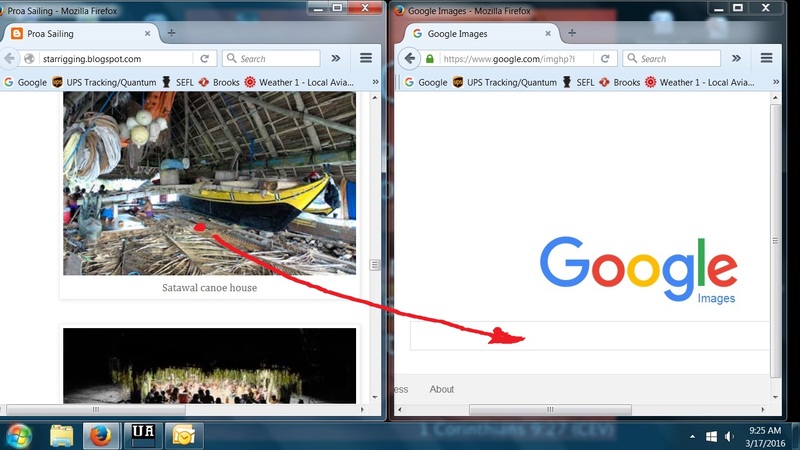 This will quickly and easily lead you to "similar" images. After coming across an old photo of Voyager and fiddling with the color, I couldn't resist posting it. 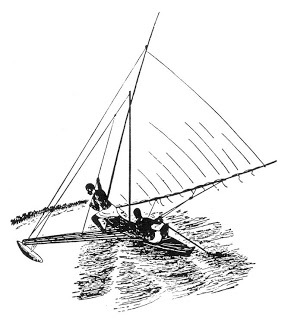 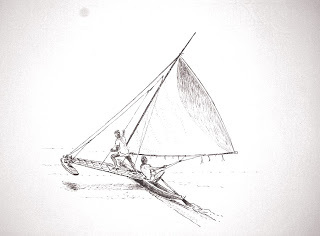 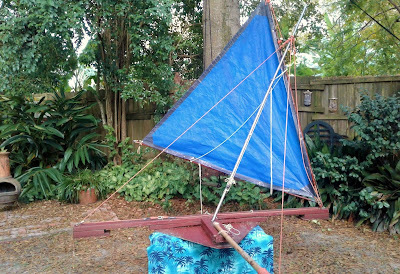 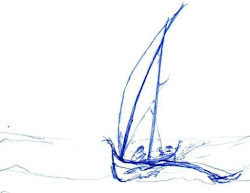 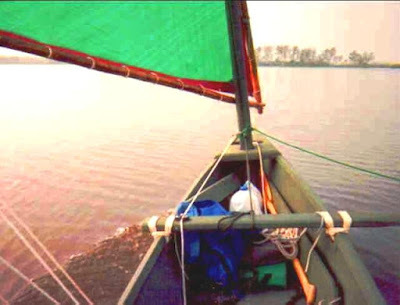 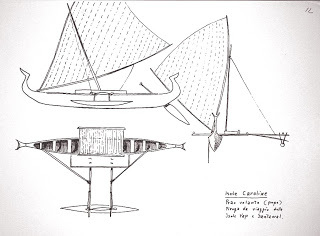 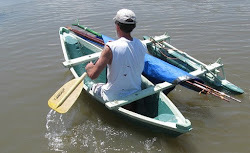 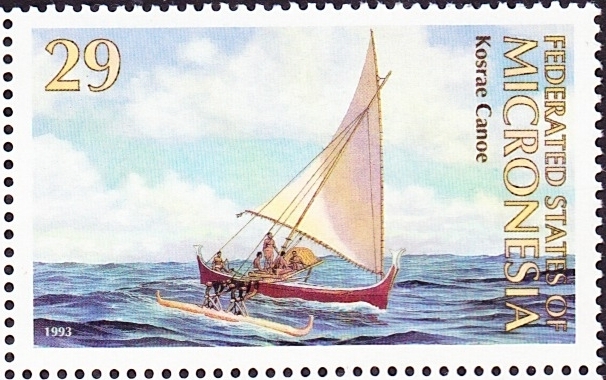 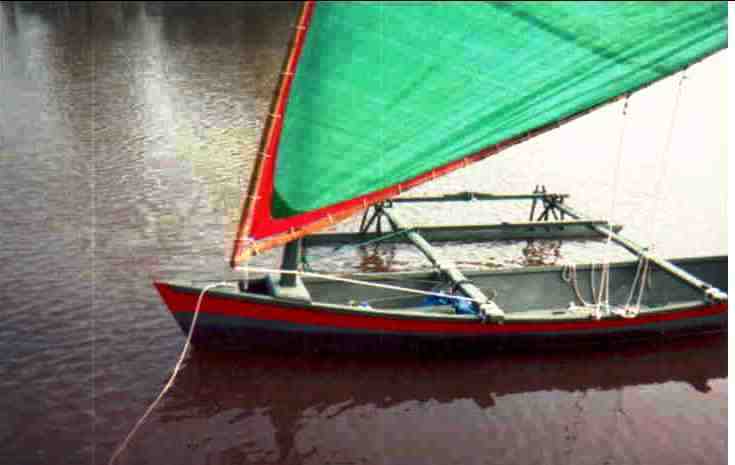 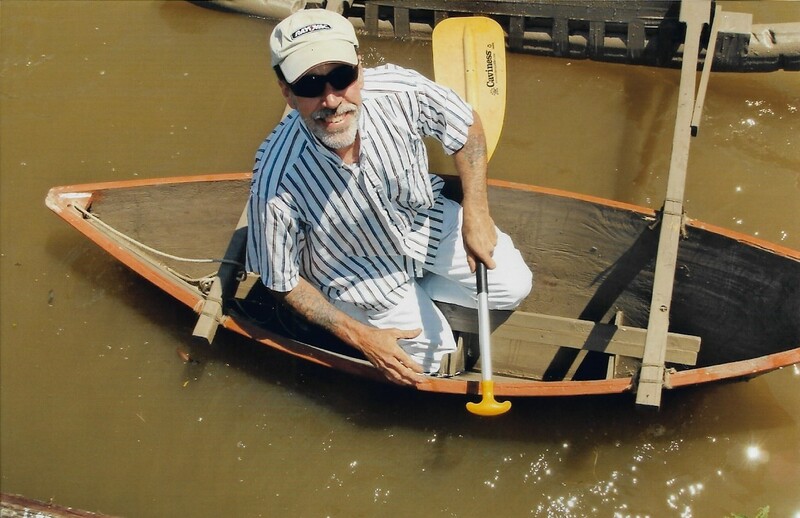 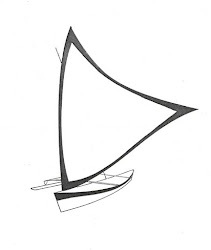 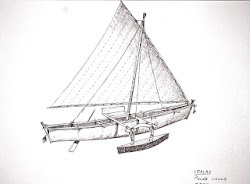 Still had the old tacking rig at the time - hadn't yet discover the brilliance of the proa rig!